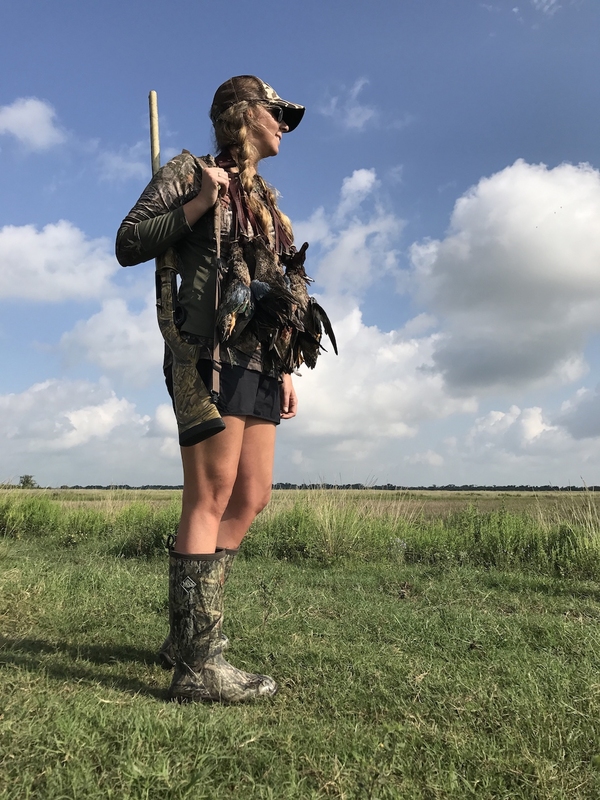 Gators, Teal and Hogs – Oh My Mucks! 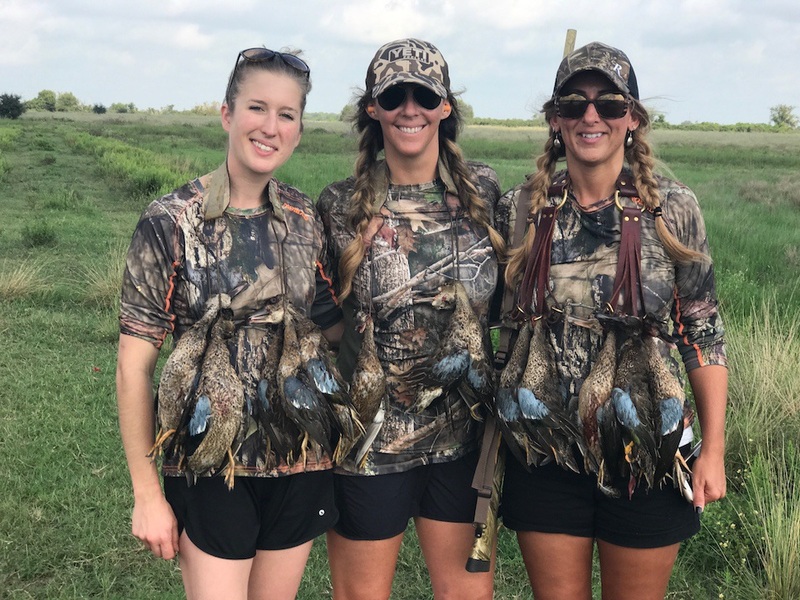 I’m back in Texas, but there are no doves, hills or cotton fields on this trip — just 3 Muck-Boot-wearing women with attitudes ready to take on the vicious creatures that lurk on the land and in the water around the coastal town of Seadrift. Their beady eyes piercing at us from just above the water line, it’s a stare-off: Who’s going to be whose dinner? My AAC MPW says it won’t be me. Unlike on most of my hunting trips, prior to this hunt I’d never met either of my hunting companions. Hollis Lumpkin, a fellow contributor at The WON, and I were hosting the winner from The WON’s 12 Days of Christmas Giveaway, sponsored last year by Remington Outdoors. Our winner, Melissa, was a veterinarian student wrapping up her last year of school; she met Hollis and me on our Dallas layover. Three women, 3 walks of life, born years apart (I’m getting old) … about to start an adventure of a lifetime. 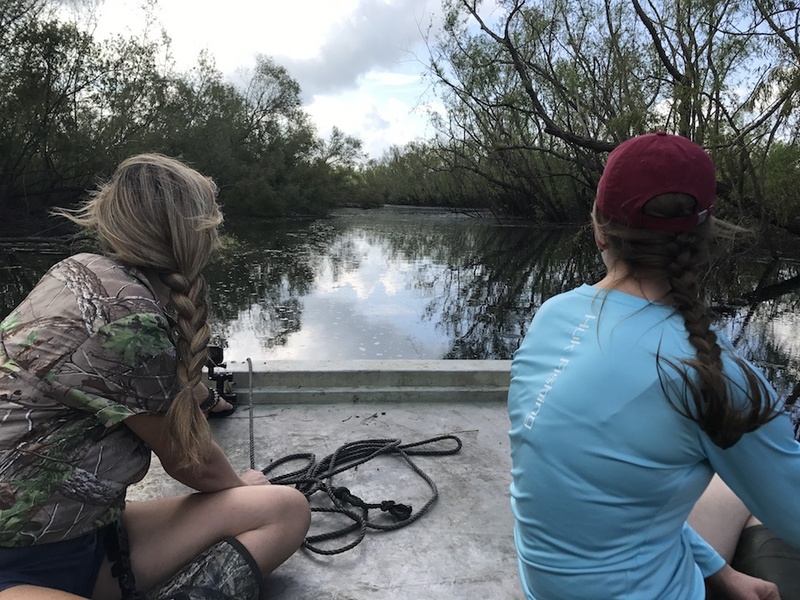 After we arrived at Castaway Lodge, our outfitter gave us the rundown on what to expect during our gator hunt the next day. “Be ready to go around 8:30 a.m.,” he said. While I love hunting, I am not a morning person, so that was music to my ears. After a good night’s sleep and a fabulous breakfast, we felt well rested and fueled up for our hunt. 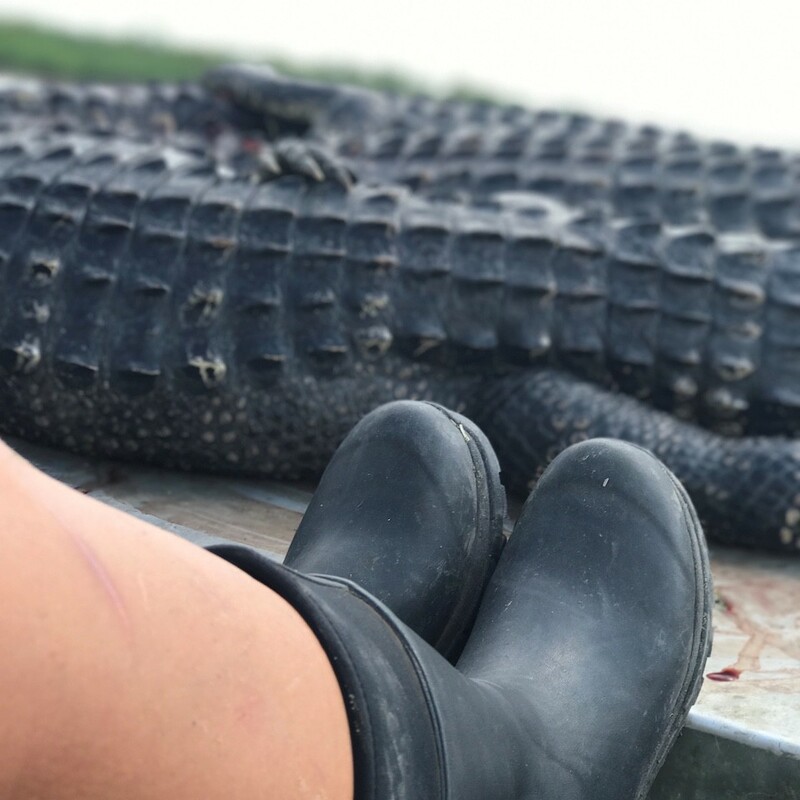 Once we arrived at our hunting location (sporting our Muck Boots), we loaded our gear in to the johnboat and started our search for gators. 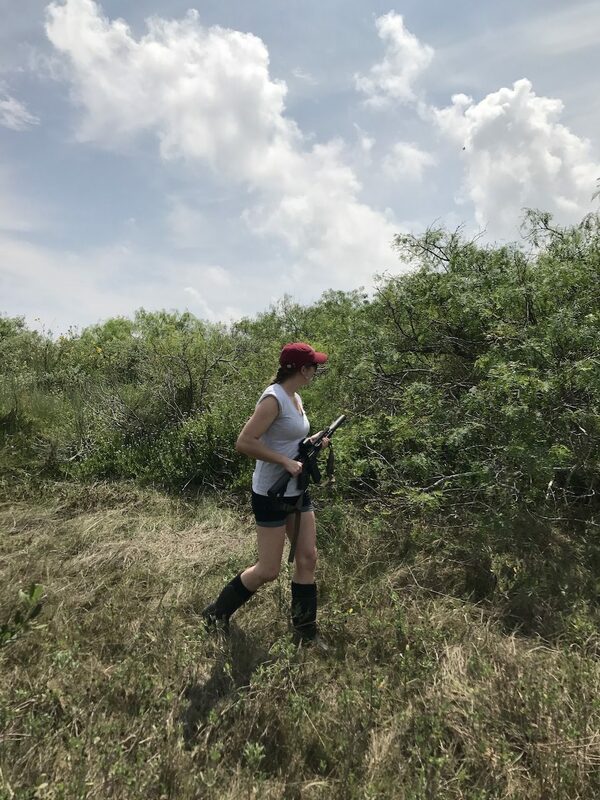 We had booked additional days because there was some concern the gators would be hard to locate due to Hurricane Harvey, but our guide found them quickly. Melissa was first up, and we followed quickly after her. Our guide had the gators hooked quickly. 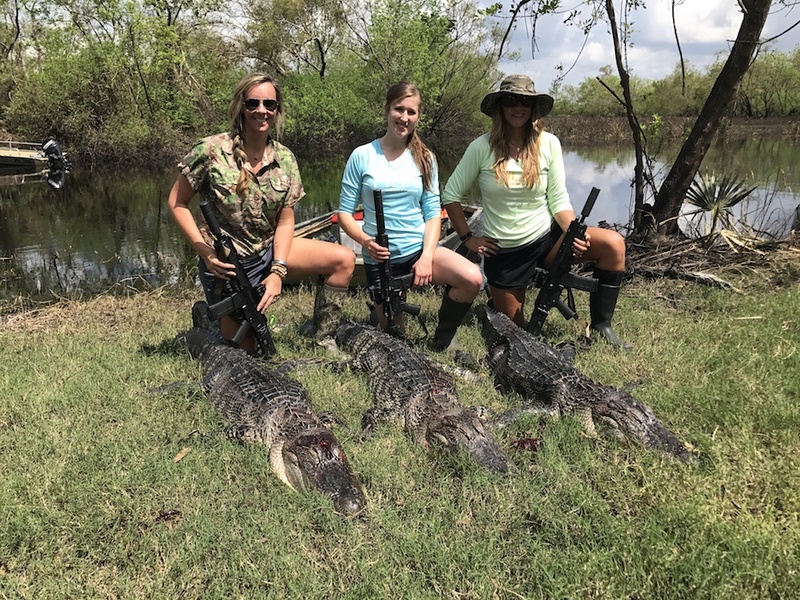 Soon, we had 3 gators on the boat and 3 happy hunters. 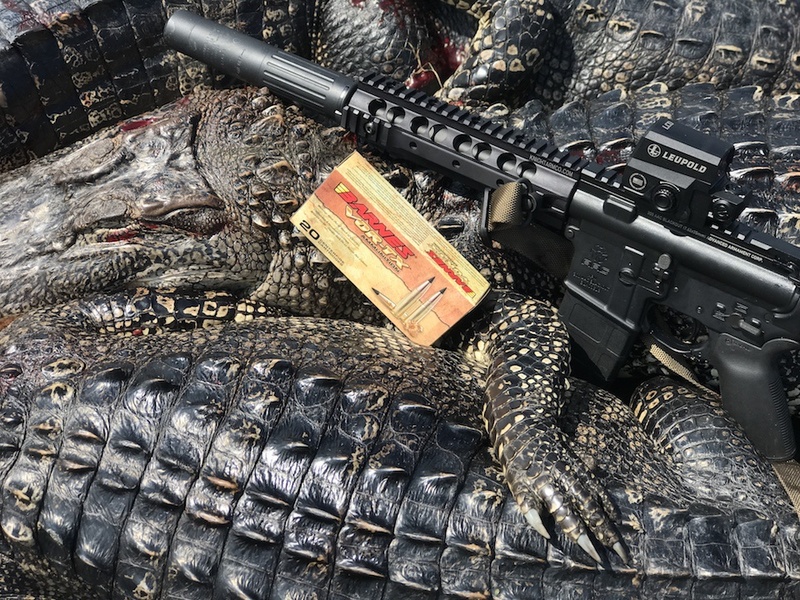 As with any animal you harvest, the adrenalin keeps their bodies moving afterward; this can make you a little uneasy when you’re on a johnboat full of gators and your only escape would be into alligator-infested water. 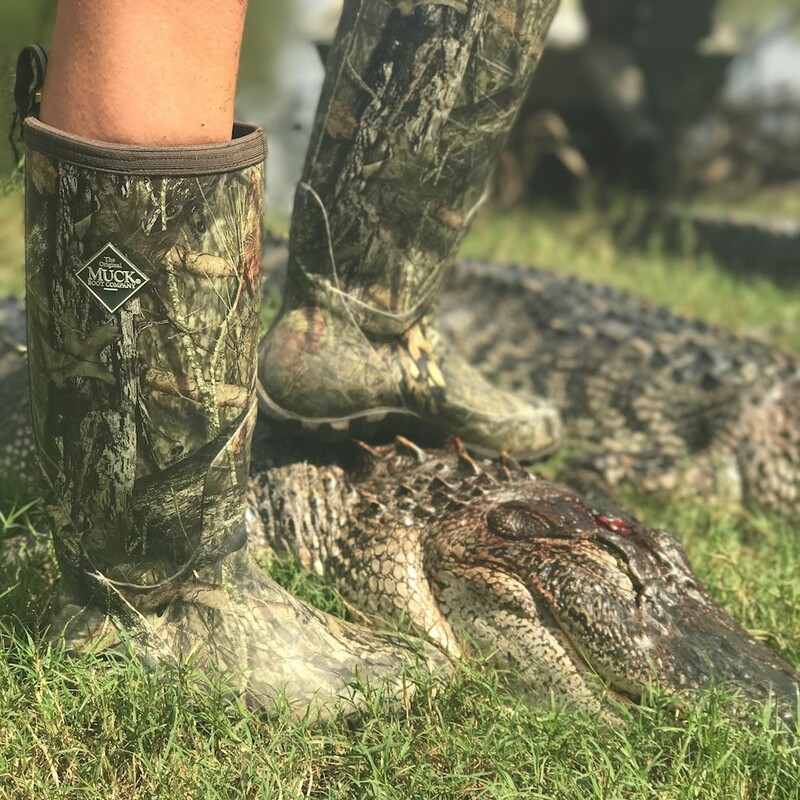 Hunting with a soon-to-be veterinarian makes for an interesting time; Melissa investigated the gators from head to toe, even poking them in the eyes to make sure they were dead. While the gator hunt was exciting, it was much shorter than expected. Relaxing on the dock, reflecting on the day and thinking about tomorrow. We relaxed after the hunt and wondered what we’d be doing for the next 2 days, when our guide asked if we’d be interested in teal hunting, hog hunting and fishing. Just when you think a trip couldn’t get any better, an opportunity like this lands in your lap. We excitedly replied, “Of course!” and started laying out a plan that consisted of all the options he provided. 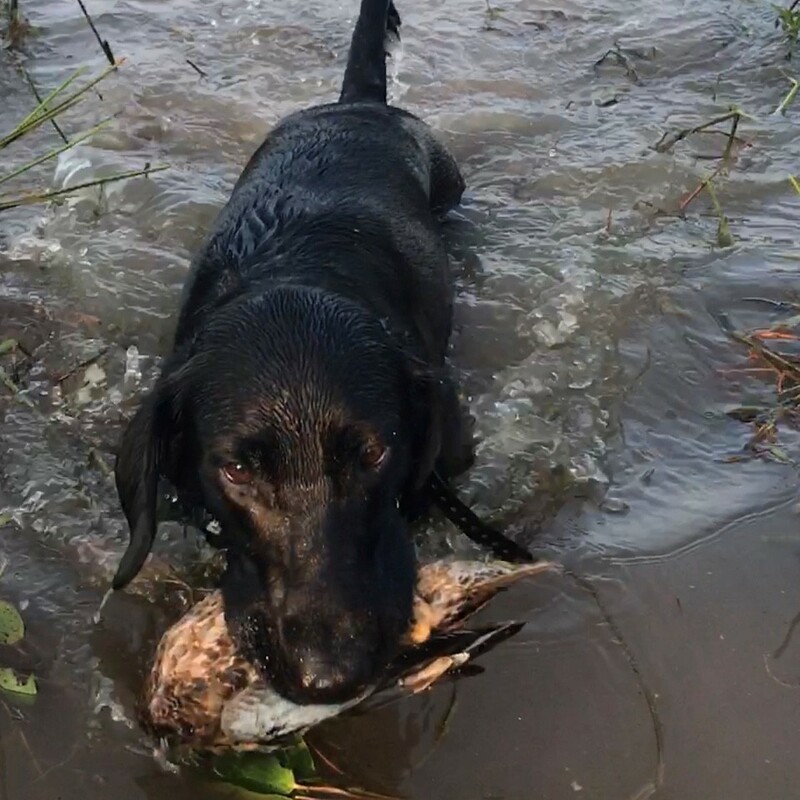 I don’t know who was more impatient, Sadie the Lab or me … Sadie, a 3-year-old Lab, waited for the birds as patiently as she could, but every time our guide moved she was ready to run and retrieve. While she couldn’t wait to get in the water, I was thankful I had my Cambridge Tall Muck Boots on to keep my feet dry. At last, it was time. A flock rolled in, and we blasted away with our 11-87s and Nitro Steel ammunition. Sadie could barely contain her excitement. Then her handler — our guide — released her, and off into the water she went. Sadie was so proud to return with bird after bird. I loved watching her in action. Hollis Lumpkin and a string full of teal. Our teal hunt was successful, and as a side bonus our guide managed to shoot a few frogs for his dinner. 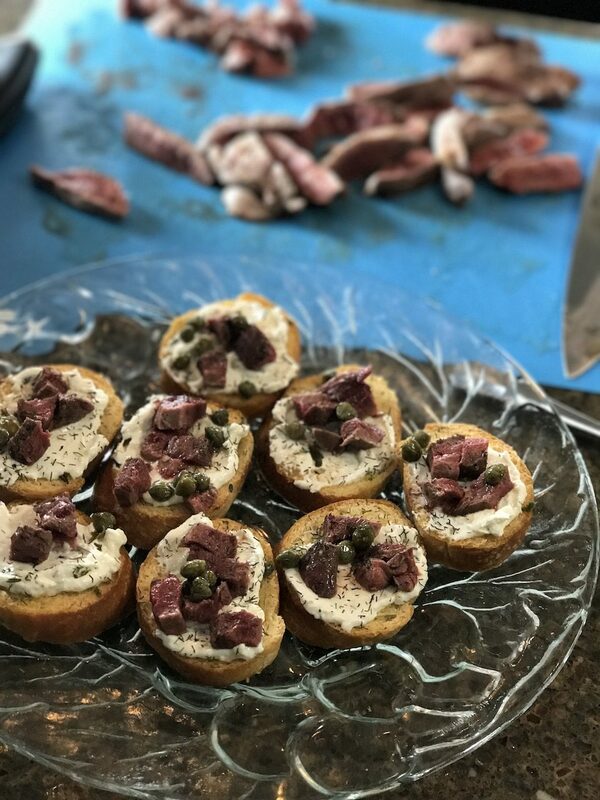 We returned to the lodge for some much-needed downtime after getting up at 3 a.m. After a rest, we had Teal Bruschetta, a superb appetizer made from the birds we harvested that morning. From the morning field to the evening dinner table — can’t get fresher than that! 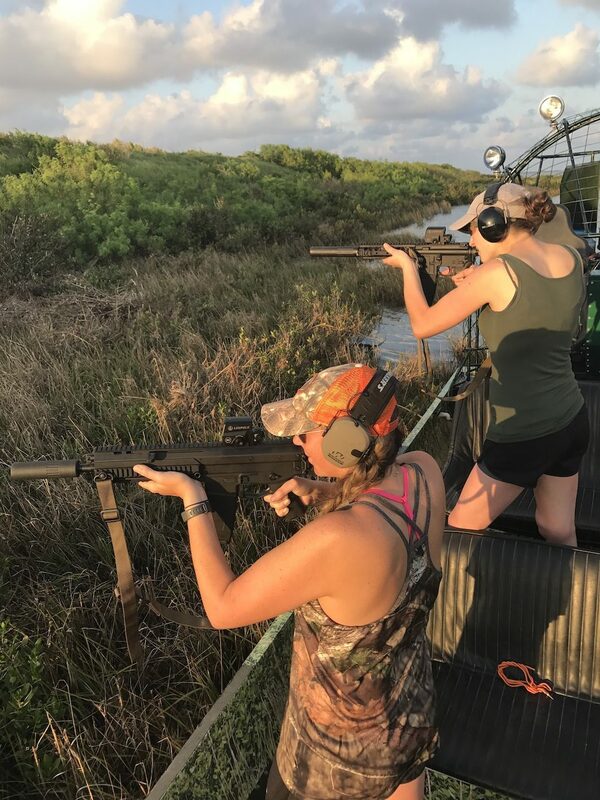 Then we went onto the next part of our adventure — hog hunting from an airboat. Armed and ready, but the hogs escaped too quickly. 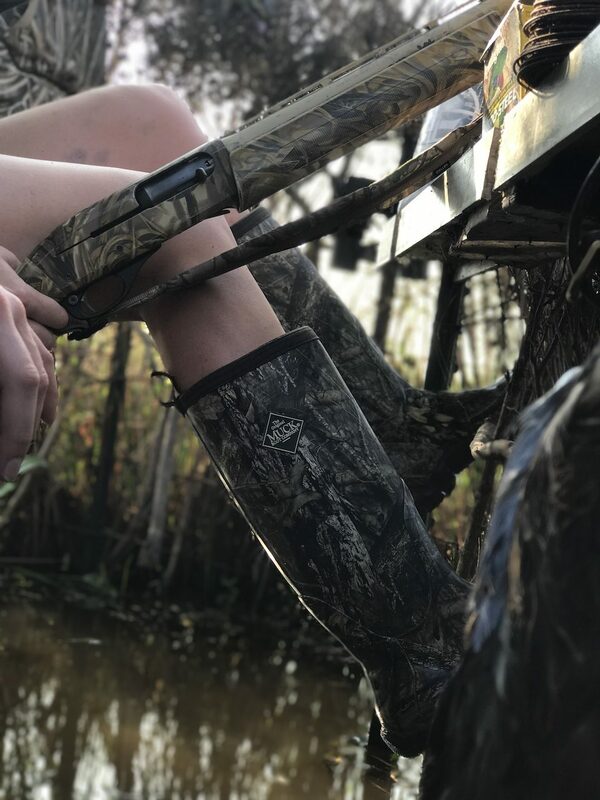 I love the water and I love hunting. Combine the 2 and I’m like a kid in a candy store. We headed up the inner coastal waterway, close to an island, in search of hogs. The island wasn’t occupied, and brush lay tall and thick. You couldn’t see the hogs unless they stood in the open. We spotted a few the first evening, but the sound of the airboat spooked them as we drew closer. Even though we didn’t get an opportunity to shoot that evening, we still had a great time. Melissa searching for her hog on the island. Take 2: Back on the water, once again in search of hogs. We spotted 3 near the edge of the island. Our guide approached them, but they soon realized we were headed toward them. Melissa shouldered her rifle, took aim, and began to unload, hitting one of them. We searched as much of the area as we could, but unfortunately we couldn’t locate the pig she hit. It had made its way into the thick brush, which was impossible to get through. In addition to the brush being too thick to walk through, the area held rattlesnakes, alligators, and who knows what else. We decided to call off the search. This trip has come to an end…almost. Stay tuned for our fishing adventure! Saltwater, freshwater, mud, brush, high temps and 3 women put these Muck boots to the test. 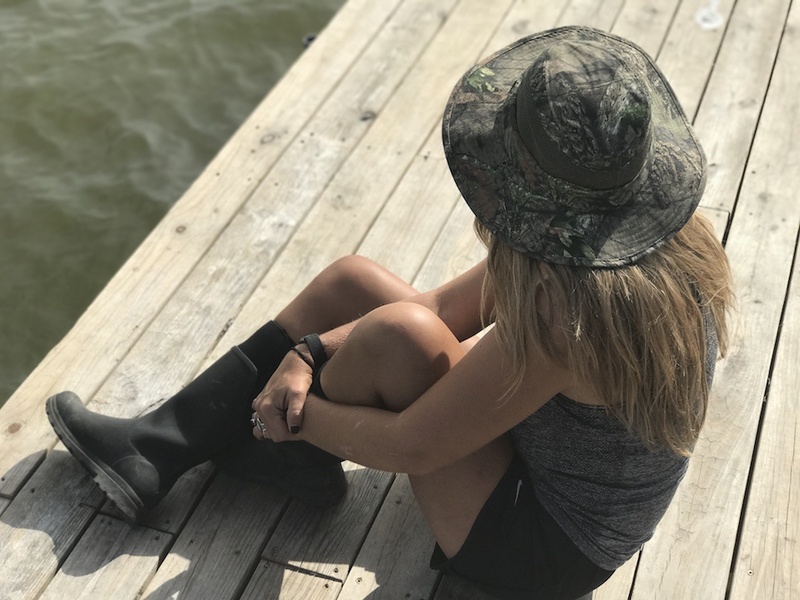 The boots protected our legs from the brush, kept our feet cool in 90-degree weather, held up to the waterproof test and left no blisters behind, proving themselves both versatile and comfortable. They get an A+ in my book. I am so impressed with the Cambridge Tall Boots (SRP: $149.99) and the Woody Blaze Cool Snake boot (SRP: $189.95), that I ordered a pair of the Arctic Apres Lace Mid Boots (SRP: $199.99) for the winter.